Land Registry refers to Oct data. 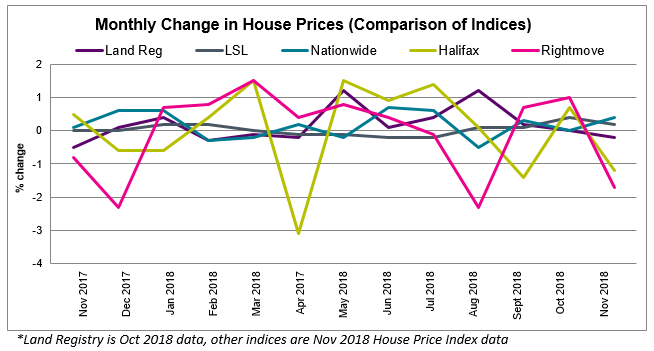 Other indices refer to Nov house price data. 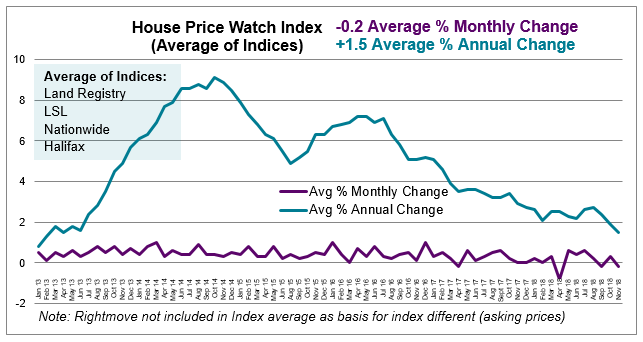 Across the major indices, house prices are down on average -0.2% in the past month. 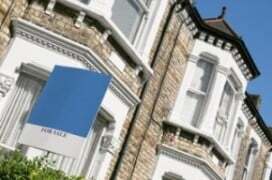 The average rate of annual house price growth slows to (1.5%). This is the slowest rate of average annual house price growth since February 2013. (Rightmove is excluded from the average). 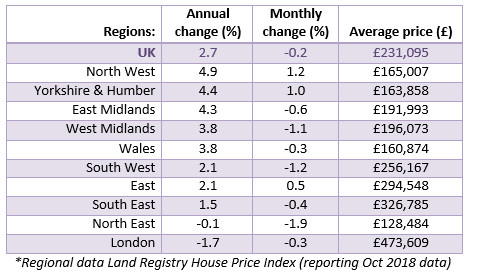 Apart from North West, Yorkshire & Humber and East of England, most regions experienced a fall in house prices this month. Regions with the biggest annual rise in house prices include: The North West (4.9%), Yorkshire & Humber (4.4%) and the East Midlands (4.3%). This year house prices are down in London (-1.7%) and the North East (-0.1%).